Each year on July 18 the international community honors the life, work and accomplishments of Nelson Mandela on International Nelson Mandela Day. This year Springer is proud to join a roster of international organizations in this celebration. To do its part in observance of this occasion – the fifth year of International Nelson Mandela Day – Springer has opened 50 of its highest rated articles (according to Altmetric data) in disciplines that focus on Mandela’s values, and the subjects of his life’s work. These disciplines include Economics, Education, Human Rights, Political Science and Public Health. Springer has created a landing page for these efforts at www.springer.com/mandela, where users can access these articles and read more about Springer’s participation. The articles will remain open until July 31, 2014.
International Nelson Mandela Day was established on July 18, 2009 to coincide with Mandela’s birthday, and has since had one simple goal – to help change the world for the better. The day has grown into more than simply a celebration of “Madiba’s” life and legacy, and is now a call to continue his work to improve the lives of people everywhere. 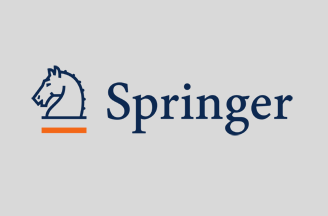 “Springer is dedicated to its work of helping propel scientific progress forward, which ultimately has a tremendous, positive effect on peoples’ lives everywhere,” said Saskia Hoving, Product Marketing Manager at Springer.